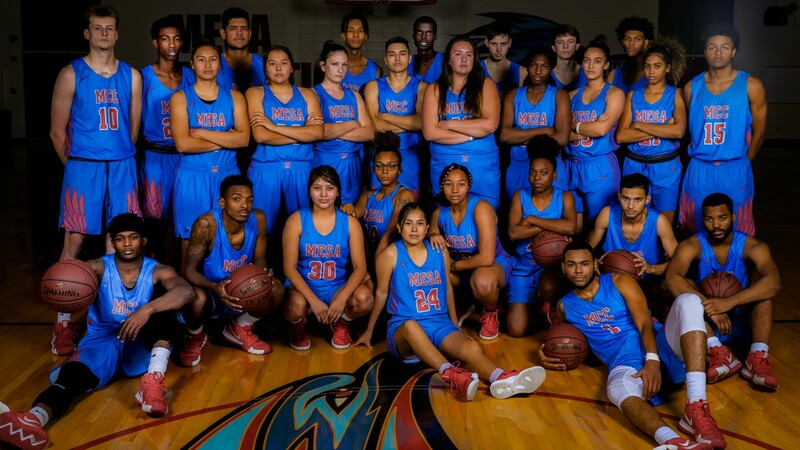 The men's and women's basketball team at Mesa Community College will wear special Nike uniforms in celebration of Native American Heritage Month. 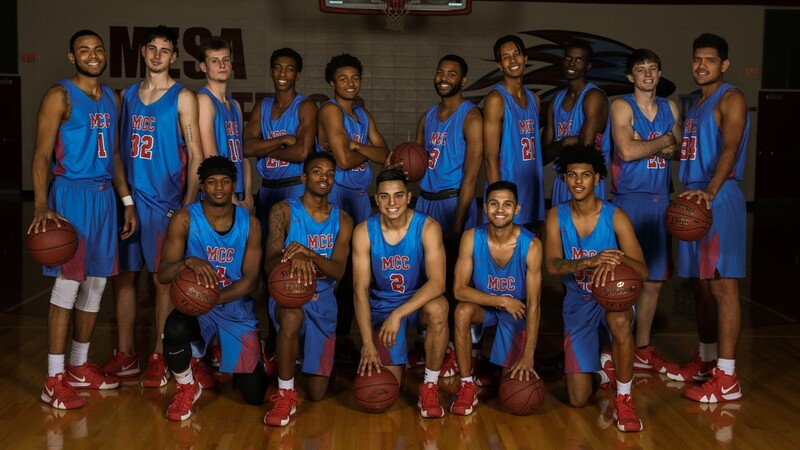 The men's basketball team at Mesa Community College wearing the Thunderbird N7 uniforms. 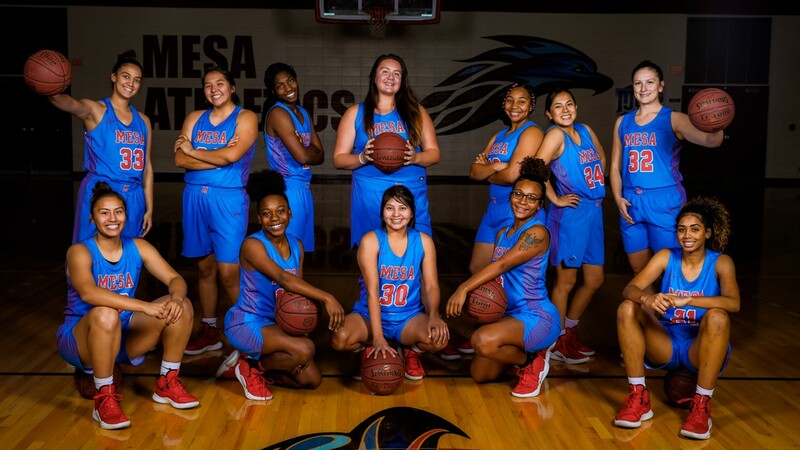 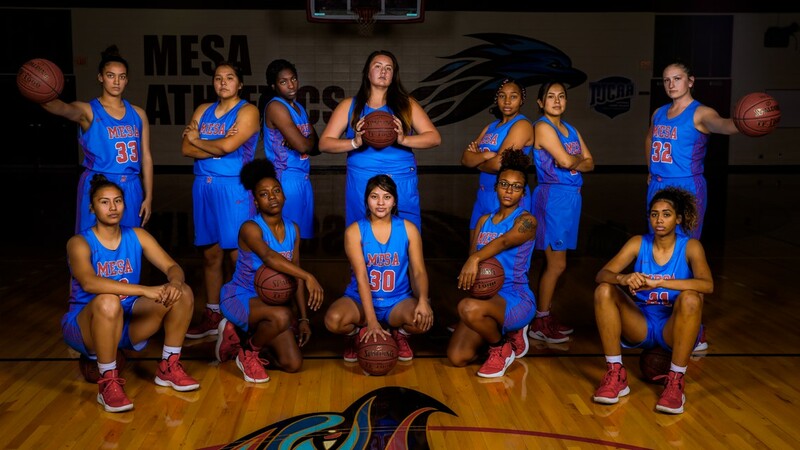 The women's basketball team at Mesa Community College wearing the special Nike uniforms in celebration of Native American Heritage Month. 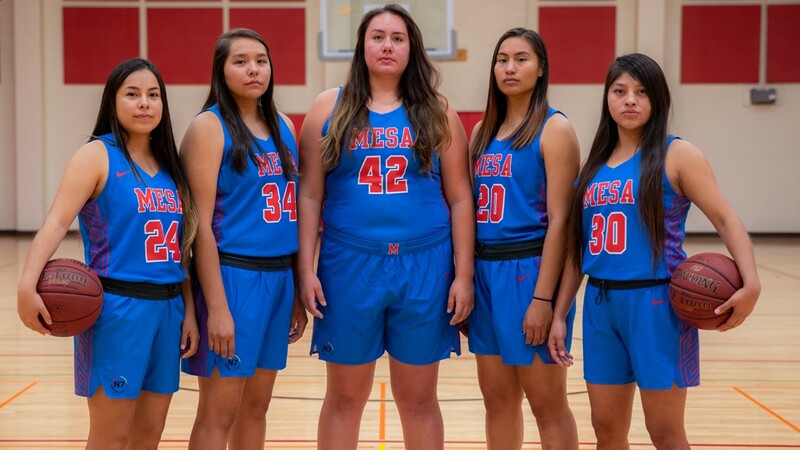 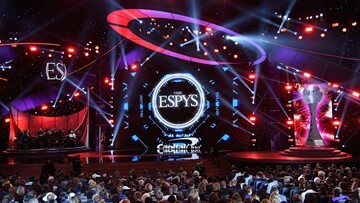 From left to right: Lynnae Mitchell, Jacey Salabiye, Madison Chesarek, Iris Domebo and Cheyenne Begay.